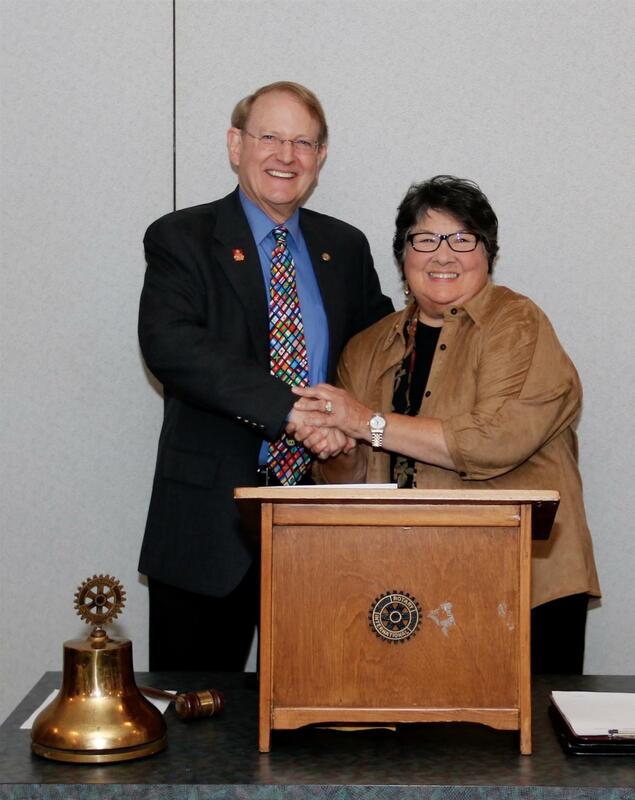 Current DG Tom Marcos announced the Nominating Committee’s selection of Rotarian Diane Noriega as District Governor Designate. Diane will serve as our District Governor in 2019-20. Diane Joined The Rotary club of Marina in the Monterey Bay Area in 2005. Diane transferred to the Rotary Club of Gresham in 2009. Diane served as the club president in 2011-12 and is now serving a second term for the 2016-17 year. Diane has served on many committees and chaired or co-chaired many of the clubs activities. Diane has served District 5100 as the Membership chair since 2014. Diane has a rich history of administration in higher education at California State University Sacramento as well as California State University of Monterey Bay where she served as Dean, Provost, and Interim President prior to retiring. Diane has chaired the Board of Mt Hood Community College and has also chaired the Board of the United way of Monterey Co.
At the our annual business meeting to be held at the District 5100 Conference in Seaside on Saturday May 27, 2017, Diane’s appointment will be ratified. Please join me in welcoming Diane as our selected District Governor Designate!